New vehicle pricing includes all offers and incentives. Tax, Title and Tags not included in vehicle prices shown and must be paid by the purchaser. While great effort is made to ensure the accuracy of the information on this site, errors do occur so please verify information with a customer service rep. This is easily done by calling us at 760-871-4202 or by visiting us at the dealership. Price includes: $500 – 2018 Returning Lessee 38CJB3 (EP compatible). Exp. 04/30/2019, $1,500 – 2018 Non-Prime Retail Bonus Cash **CJ1V. Exp. 04/30/2019, $500 – 2018 Chrysler Capital 2018 Bonus Cash **CJ5 (exclu. MW-NE-SE). Exp. 04/30/2019, $2,250 – 2018 Retail Consumer Cash 71CJ1. Exp. 04/30/2019, $750 – 2018 CCAP Non-Prime Retail Bonus 44CJA1. Exp. 04/30/2019, $500 – Freedom Days Retail Bonus Cash 44CJA8. Exp. 04/30/2019, $1,000 – 2018 Retail Bonus Cash CACJA1. Exp. 04/30/2019 New Price! 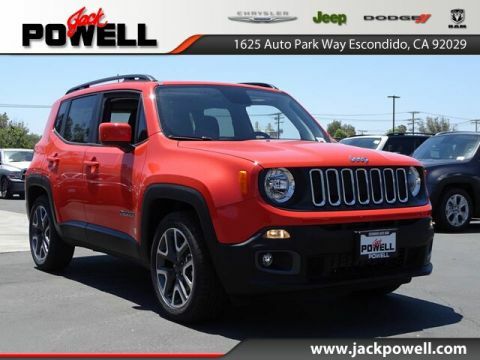 Colorado Red 2018 Jeep Renegade Latitude FWD 9-Speed 948TE Automatic 2.4L I4 Renegade Latitude, 4D Sport Utility, 2.4L I4, 9-Speed 948TE Automatic, FWD, Colorado Red, Black Cloth, Altitude Package, Black Accent Stitching, Black Day Light Opening Moldings, Deluxe Cloth High-Back Bucket Seats, Exterior Mirrors w/Supplemental Signals, Gloss Black Badging, Gloss Black Instrument Panel Bezels, Gloss Black Rear Fascia Applique, Heated door mirrors, Manufacturer’s Statement of Origin, Passive Entry Remote Start Package, Passive Entry/Keyless Go, Power door mirrors, Quick Order Package 2EJ, Quick Order Package 2EL Altitude, Roof rack: rails only, Spoiler, Vinyl Door Trim Panel, Wheels: 18″ x 8.0″ Gloss Black. Price includes: $500 - 2018 Returning Lessee 38CJB3 (EP compatible). Exp. 04/30/2019, $1,500 - 2018 Non-Prime Retail Bonus Cash **CJ1V. Exp. 04/30/2019, $500 - 2018 Chrysler Capital 2018 Bonus Cash **CJ5 (exclu. MW-NE-SE). Exp. 04/30/2019, $2,250 - 2018 Retail Consumer Cash 71CJ1. Exp. 04/30/2019, $750 - 2018 CCAP Non-Prime Retail Bonus 44CJA1. Exp. 04/30/2019, $500 - Freedom Days Retail Bonus Cash 44CJA8. Exp. 04/30/2019, $1,000 - 2018 Retail Bonus Cash CACJA1. Exp. 04/30/2019 New Price! 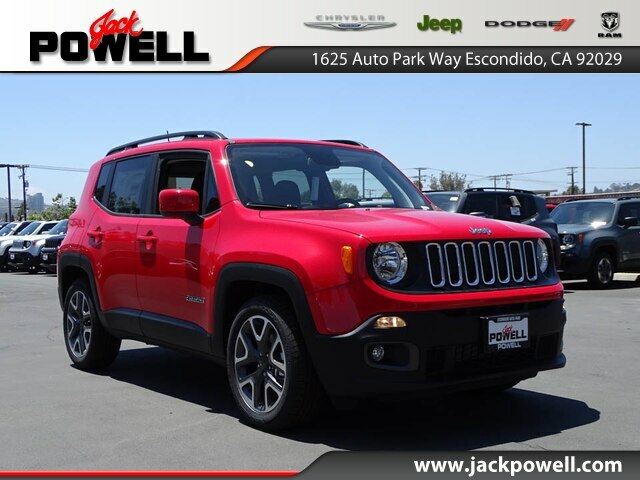 Colorado Red 2018 Jeep Renegade Latitude FWD 9-Speed 948TE Automatic 2.4L I4 Renegade Latitude, 4D Sport Utility, 2.4L I4, 9-Speed 948TE Automatic, FWD, Colorado Red, Black Cloth, Altitude Package, Black Accent Stitching, Black Day Light Opening Moldings, Deluxe Cloth High-Back Bucket Seats, Exterior Mirrors w/Supplemental Signals, Gloss Black Badging, Gloss Black Instrument Panel Bezels, Gloss Black Rear Fascia Applique, Heated door mirrors, Manufacturer's Statement of Origin, Passive Entry Remote Start Package, Passive Entry/Keyless Go, Power door mirrors, Quick Order Package 2EJ, Quick Order Package 2EL Altitude, Roof rack: rails only, Spoiler, Vinyl Door Trim Panel, Wheels: 18" x 8.0" Gloss Black. Why Choose Jack Powell Chrysler Dodge Jeep Ram? 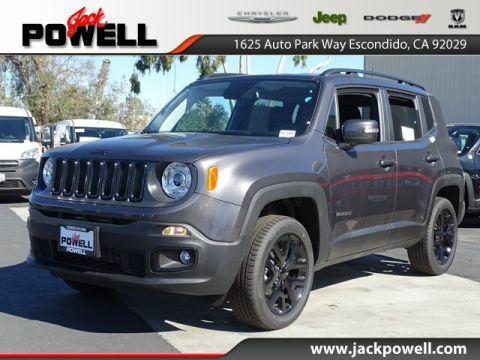 At Jack Powell Chrysler Dodge Jeep Ram, our goal is to always please our customers, which is why we’re here for you for years beyond your initial purchase. Our service department is staffed with exceptional technicians who are here to help provide routine services or major repairs for your vehicle. Our sales team is eager to help your find the new or used car you have been searching for! 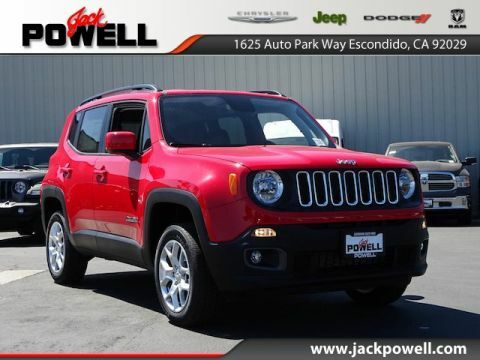 By submitting this form you agree to be contacted by a Jack Powell Chrysler Dodge Jeep Ram staff member.